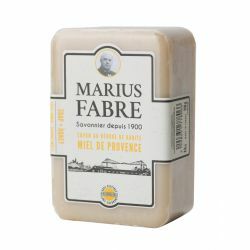 The city of Salon de Provence is connected to Nostradamus. 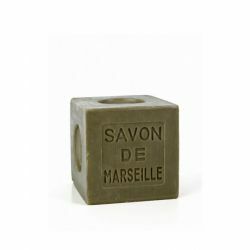 It is on the request of the city hall and the tourist information office of Salon de Provence that this collector's soap was born. 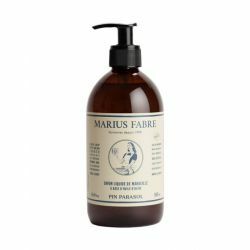 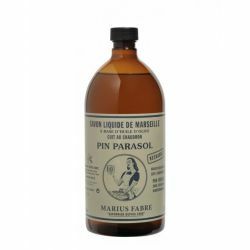 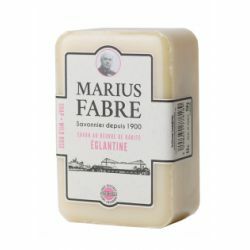 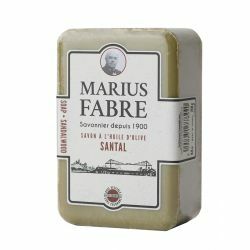 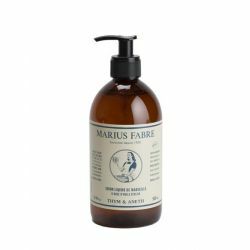 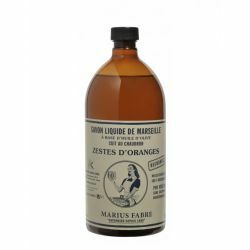 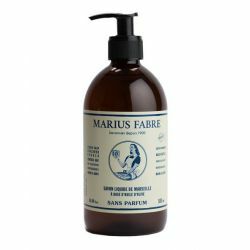 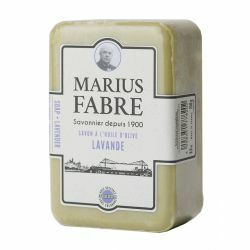 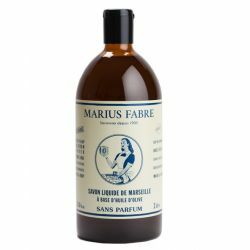 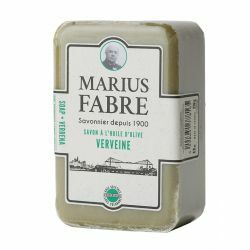 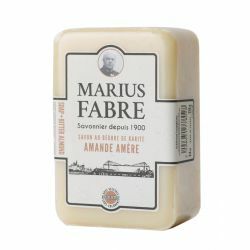 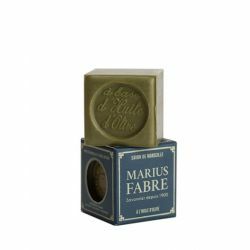 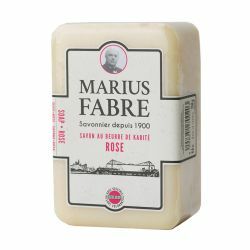 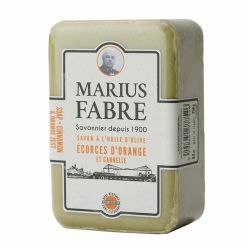 To the soap factory Marius Fabre we found this attractive idea and in adequacy with our will to want always to protect a rich historical heritage and strong, it is what urged to us to create this collector's soap. 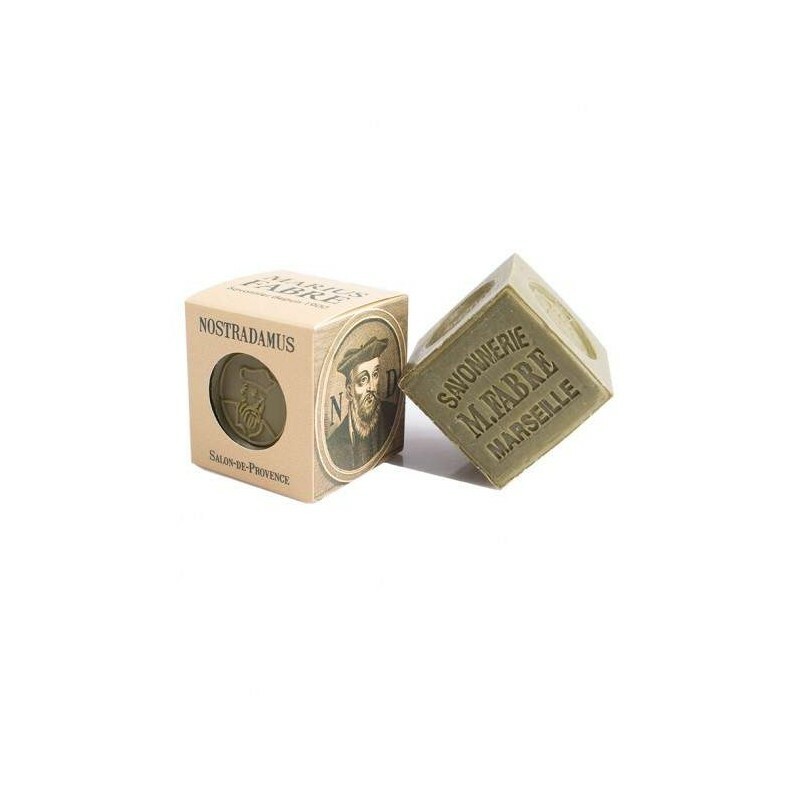 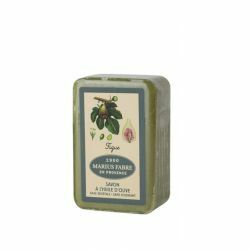 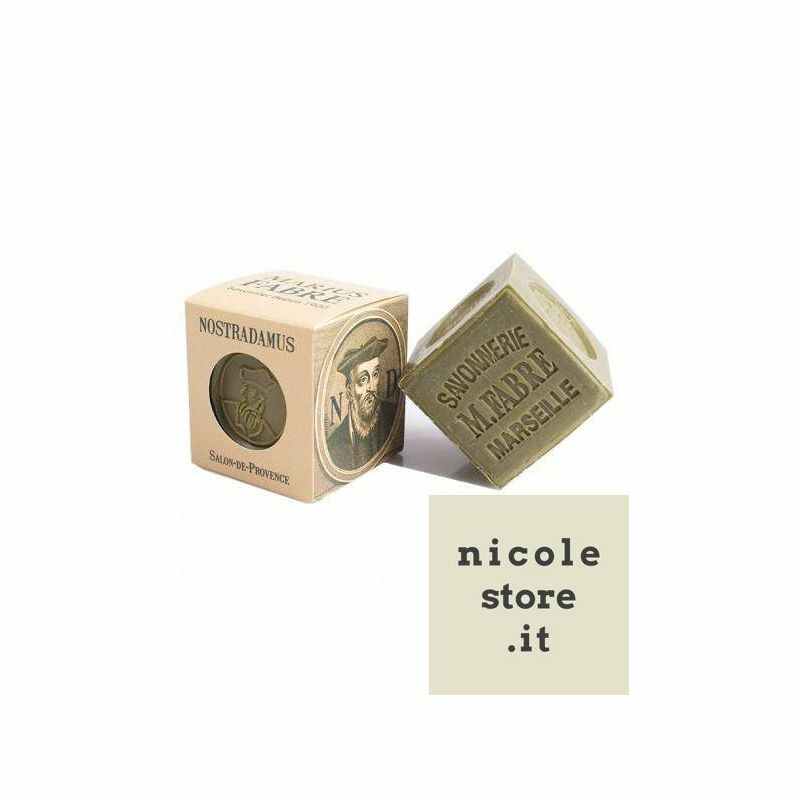 Made from vegetable oils –no colouring, no added fragrances and no synthetic products– our Marseille olive oil soap cubes are particularly gentle on the skin and on the environment. 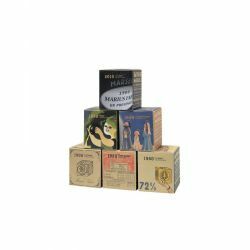 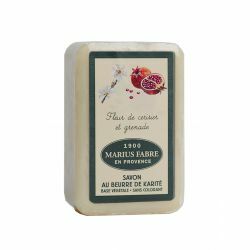 For 110 years and four generations, our family has been making Marseille soap exclusively from a rigorous selection of vegetable oils. 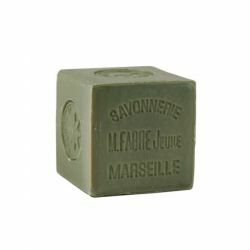 It contains no colouring and no synthetic additives. It is free of petroleum-based products and animal fats, unlike most of the other soaps and shower gels on the market. 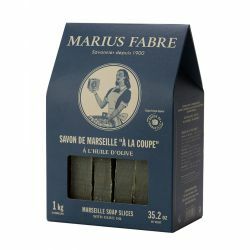 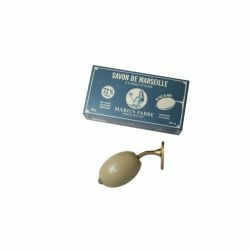 The traditional Marseille soap manufacturing process is a guarantee of "Extra Pure" soap that is entirely free of impurities. 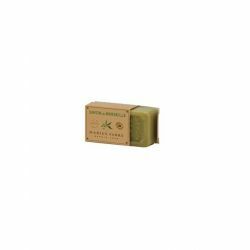 It is gentle on all types of skin, even the most sensitive ones (babies, people with allergies, etc.). 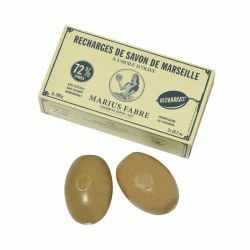 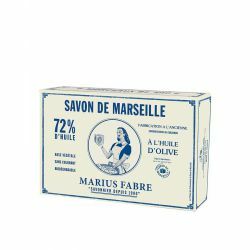 Thanks to the nourishing properties of olive oil, Marius Fabre Marseille olive oil soap helps your skin keep a more natural moisture balance*.